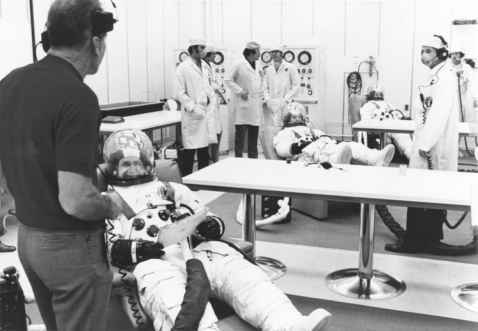 On 7 June 1984, the crews were assigned to the first missions under the EOM and Astro series. Owen Garriott was assigned to STS 51-H as MS 2, and Bob Parker to STS 61-E as MS 3. Both had flown on the first Spacelab mission in 1983. STS 51-H was scheduled for launch in November 1985, a re-flight of nine Spacelab 1 experiments in the fields of space plasma physics, solar physics, atmosphere physics, and astronomy and Earth observations. The configuration, termed Earth Observation Mission 1 (EOM-1), was to include the first flight of a short Spacelab habitable module and a pallet of experiment hardware in the payload bay. STS 61-E was manifested for March 1986 and its mission included deployment of the Intelsat VI-I communication satellite and the ASTRO-1 astronomy package, designed to view Halley's Comet among other targets. For Garriott and Parker, this was an opportunity to resume their training for a return to space. For others, it was time to leave NASA and move on.